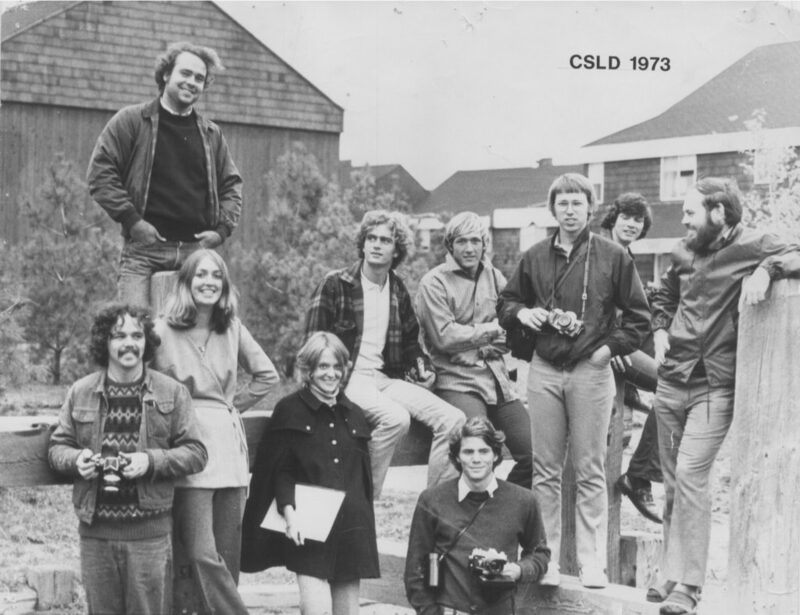 Follow the contours: 45 years of learning to make an ecological design school. As teachers of ecological design, we’re sensitive to place. When Walt Cudnohufsky had the bold idea to establish his own graduate program in landscape design and planning in 1972, many wanted to return to the land, to live in the woods. Our first studio and classroom were in a barn and sugarhouse on Delabarre Avenue in Conway. Members of the class of 1981 celebrate their graduation in front of the original location of the Conway School. Our 24.5-acre wooded hilltop campus a half-mile outside Conway town center provided rich environmental surroundings for teaching. At the age of thirty-one we bought a large wooden building on the top of a hill, still in Conway. We called “the Hill” home for thirteen years. We liked to say that from up there you could see farther. 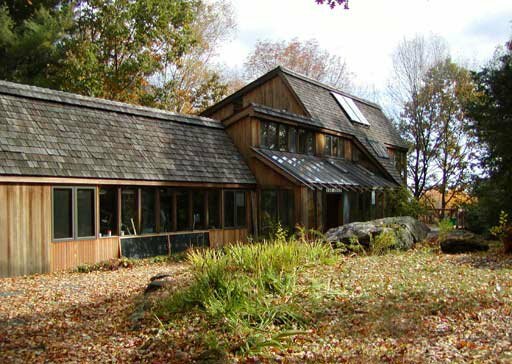 The woodlands and wetlands of that magical landscape provided wonderful learning opportunities for students of ecological design, and the house itself converted nicely to two large studios, a comfortable classroom with kitchen, and offices upstairs. 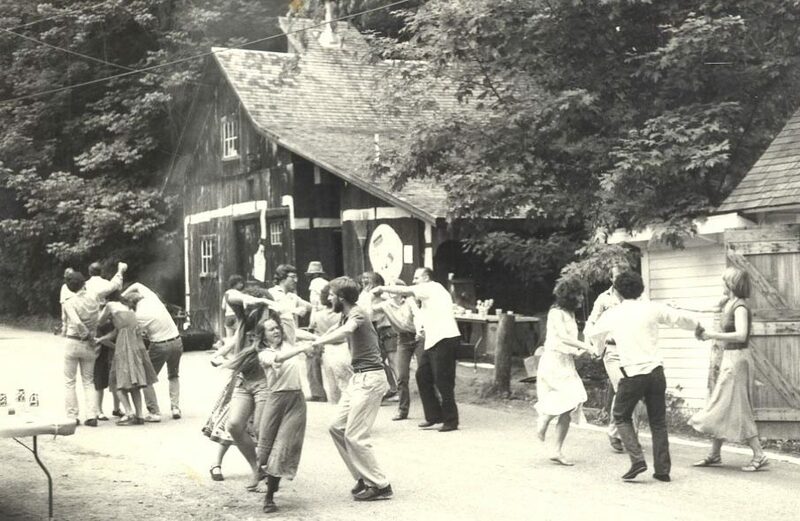 The Deerfield Road property was beloved by students who found respite in the rural landscape. But times have changed. The search for sustainable balance leads to more urban environments. Students drawn to Conway’s focus on environmentally sustainable design challenged the school to look at its own carbon footprint, which required students to have cars to get to the campus. The school also has a mission to address issues of environmental justice and urban ecology. 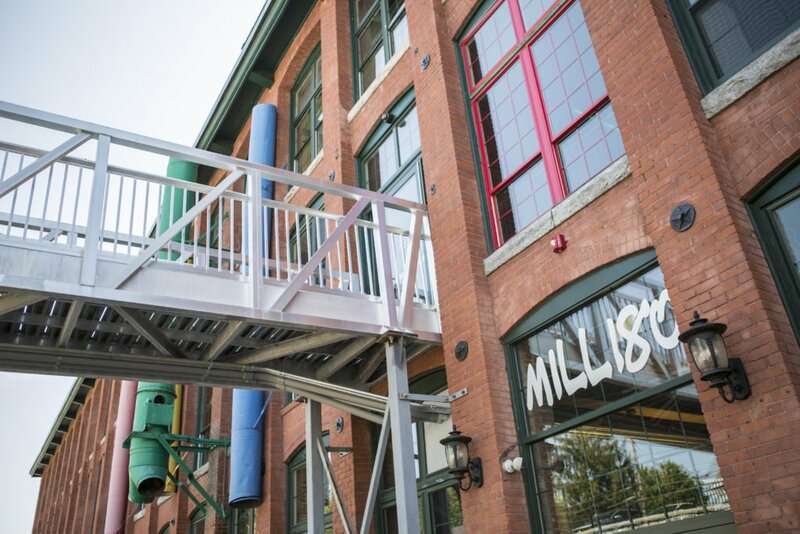 These driving principles led us to develop and test a studio school in a converted Easthampton mill. For the first year (2015-16) we ran both the Conway “Hill” campus and the new more urban “Mill” campus. Now, three years in a more urban environment has confirmed that it is the right environment for our unique program. Moving to Easthampton marked a new era for the Conway School. At a time when 80 percent of Americans and 50 percent of the world’s population live in urban areas, making cities more ecologically healthy, socially just, and livable has never been more important. Now we have an opportunity to own a campus for the long term that combines the rich environmental surroundings so valuable for teaching at the Conway campus with the energy, accessibility, and visibility of a more urban location. We are parlaying our experience in place-based management and ownership to design, build, and own a school that meets most of our very demanding specifications. Our new home is the historic Coach House in the Village Hill neighborhood of Northampton, Massachusetts. > Stay tuned for our additional blog posts about our new home, including a sneak peek of construction progress.